The Olive Sparrow (Arremonops rufivirgatus) population in Laguna de Apoyo Nature Reserve is disconnected to other populations and poorly documented. Photo Joe Taylor. We birdwatch a lot in Laguna de Apoyo Nature Reserve, and we take people on journeys of discovery often, just a few steps bringing a new world into view. 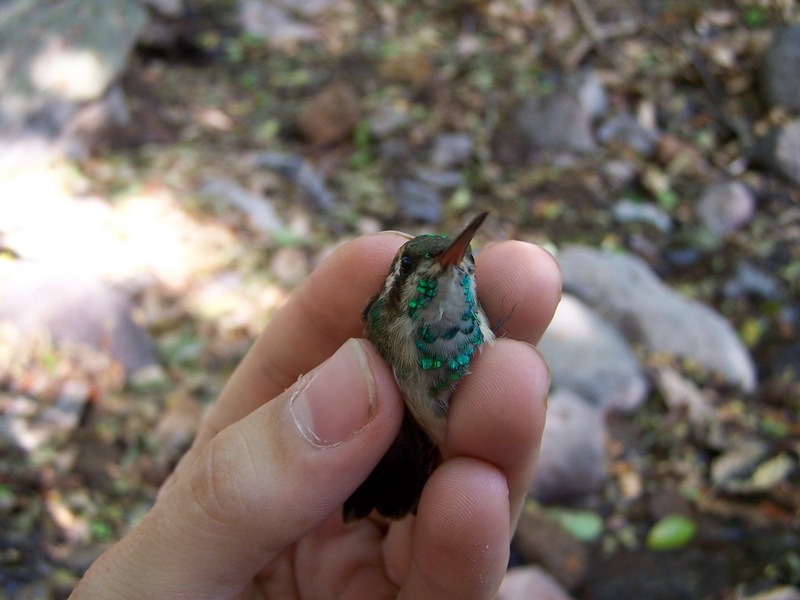 Steely-vented Hummingbird (Amazilia saucerottei). Photo Joe Taylor. One of the nicest aspects of Nicaragua for a tourist is its abundant nature. Birdwatching is a great way to enjoy nature, learn, and be active. Go for a birdwatching tour of Laguna de Apoyo Nature Reserve with our staff. At Estacion Biologica, we have several professionals with experience in bird identification on our staff. Four members of our staff are published in the scientific literature. 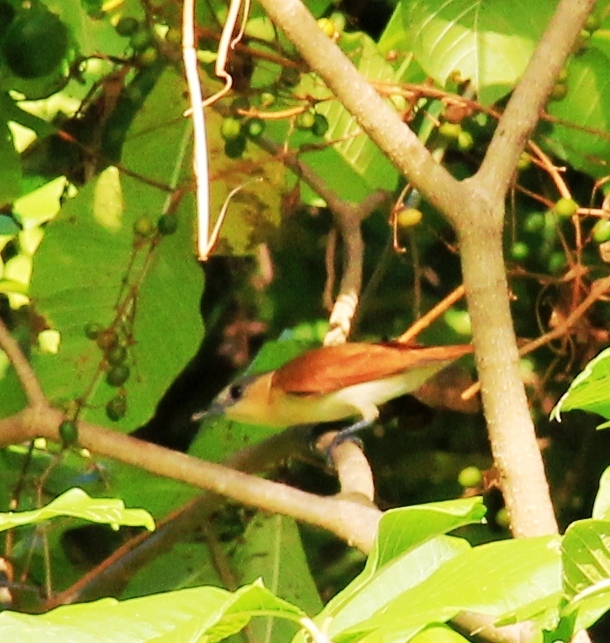 Some of the birds you may see in Laguna de Apoyo Nature Reserve are pictured here. 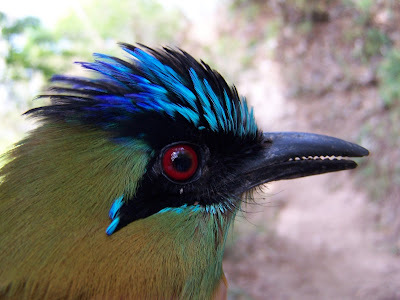 Blue-crowned Motmot, Momotus momota (Momotidae). Photo Joe Taylor. Each week, we conduct early morning bird walks in the vicinity of Estacion Biologica. Within two-hundred meters of Estacion Biologica, at least twenty-five species should be expected in good weather in about one hour of birdwatching. The walking is light to moderate intensity, with no steep climbs. We adapt the intensity to the participants. We depart at 6:00 am and return in time for coffee at 7:30 am. Canada Warbler (Wilsonia canadiense) is an uncommon winter visitor to our forests. Photo Joe Taylor. For the more advanced birder, we arrange trips into the deeper forest, where a day of birdwatching should yield forty or more species. 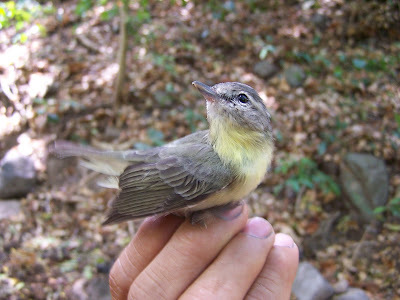 Our guides can identify all the 225 birds on the Laguna de Apoyo bird list. No other tour agency has a single guide that can make this claim. 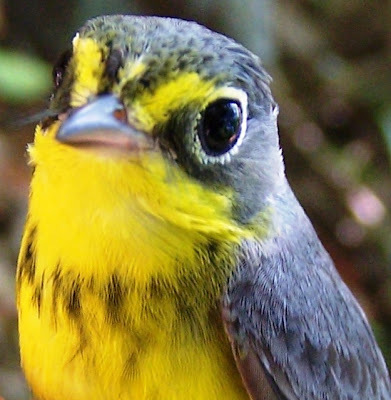 One of our guides speaks English and has sighted well over 600 species in Nicaragua, and has published numerous research papers about the birds of Nicaragua. Philadelphia Vireo (Vireo philadelphicus) is a common migrant, often accompanying Tennessee Warblers and Yellow Warblers in feeding flocks. Photo Joe Taylor. 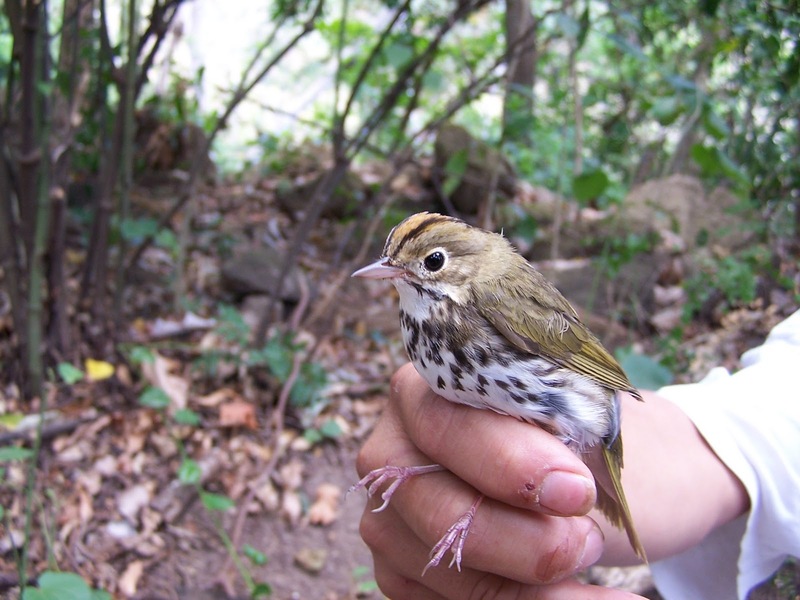 Birdwatching here during the North American winter can yield many migrants. We also monitor migrant bird populations by mist-netting in the Laguna de Apoyo Nature Reserve. You can join us for a visit to the mist-netting activity. 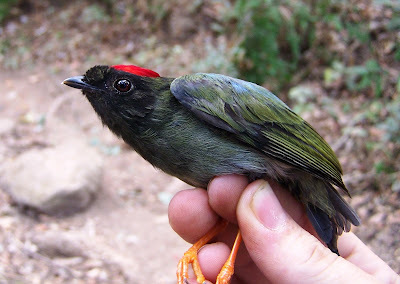 The most common bird encountered in this activity is the Long-tailed Manakin (Chiroxiphia linearis). Immature male Salvin´s (Fork-tailed) Emerald (Chlorostilbon salvini). Photo Joe Taylor. We love to observe hummingbirds. 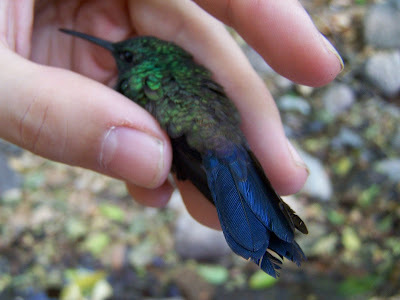 There are ten hummingbird species on our list at Laguna de Apoyo Nature Reserve. Although most hummingbirds are resident and present year-round, we are blessed with large quantities of Ruby-throated Hummingbird from August until May. 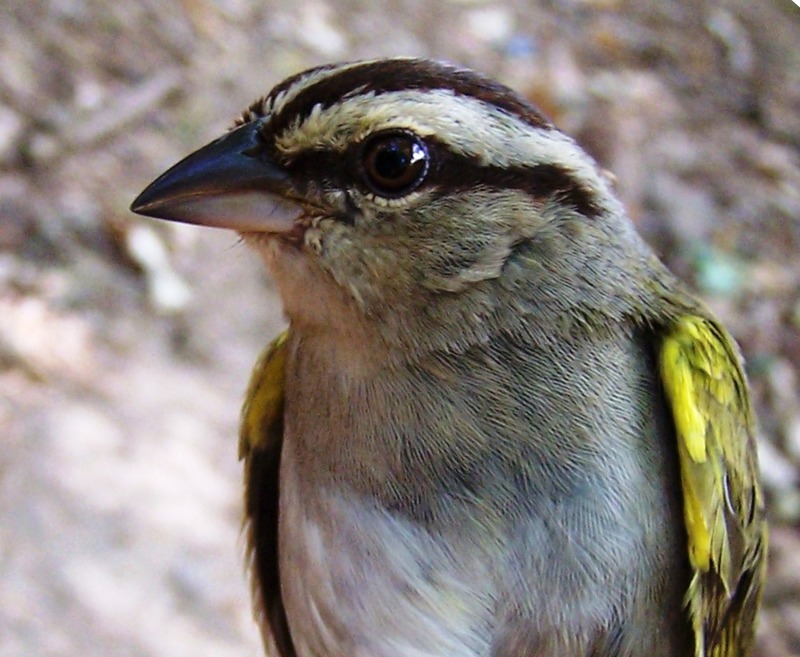 Red-eyed Vireo (Vireo olivaceus). Photo Joe Taylor. Some migratory birds appear only briefly in our forests, on their longer trek from further north to further south, or vice versa. Others make Laguna de Apoyo Nature Reserve their home for several months. Some species of migratory birds are found year round: Young Ospreys (Pandion haliaetus), for instance, may stay behind when their older conspecifics return to the north to nest. By staying behind, they do not face the stress of a long trip without the benefit of nesting, because they require a few years of age and experience to nest successfully. The Ovenbird (Seiurus aurocapilla) is a regular migrant but is retiring and can easily be overlooked. Photo Joe Taylor. 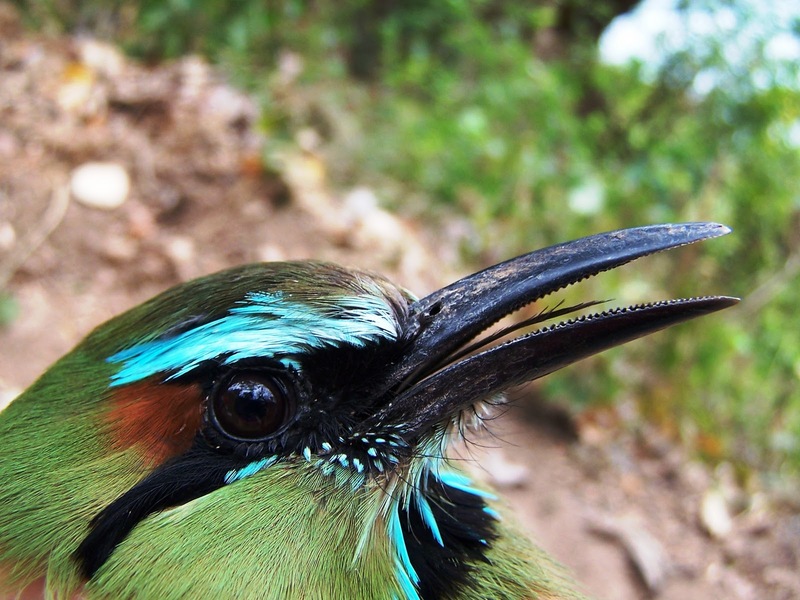 The Turquoise-browed Motmot (Eumomota superciliosa) is abundant in Laguna de Apoyo Nature Reserve. Photo Joe Taylor. Long-tailed Manakins (Chiroxiphia linearis) are locally very abundant near one of our study sites. This immature male is already showing some of his specatucular colors. Photo Joe Taylor. This Rose-throated Becard (Pachyrhamphus aglaiae) female is nesting behind Estacion Biologica. This species ranges as far north as Texas, but unlike those of North America, the males of our population do not have a rose-colored throat. Photo Rob Hoy. 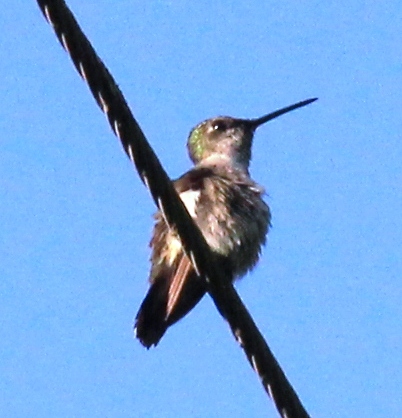 This female Ruby-throated Hummingbird (Archilochus colubris) migrates to our area during the North American winter. Photo Rob Hoy. 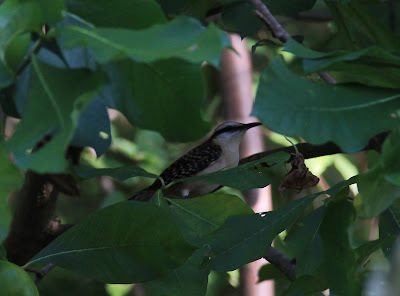 Rufous-naped Wrens (Campylorhynchus rufinucha) move between dense vegetation and openings with ease, always in flocks. Photo Rob Hoy. 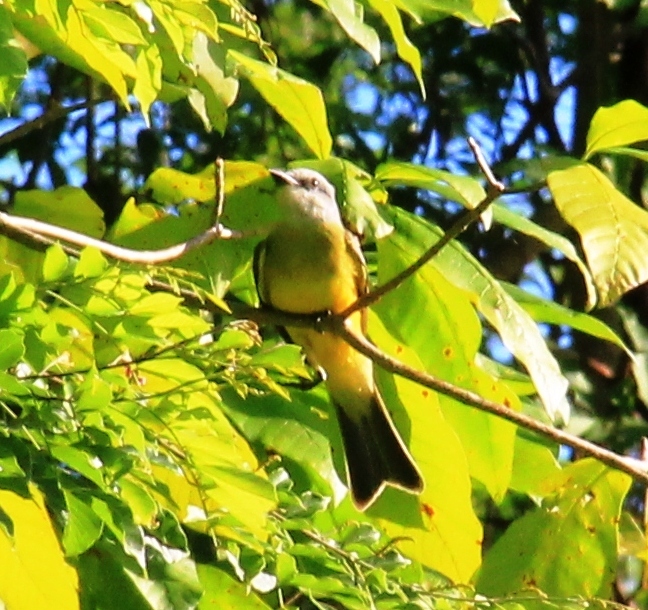 Tropical Kingbird (Tyrannus melancholicus) is common in semi-open areas in the Pacific region of Nicaragua. Photo Rob Hoy. The absence of rusty coloration on the secondary wing feathers identifies this as a Steely-vented Hummingbird (Amazilia saucerrottei), which is found in the same habitat as the extremely similar Blue-tailed Hummingbird (Amazilia cyanura). Photo Lucas Betthauser. 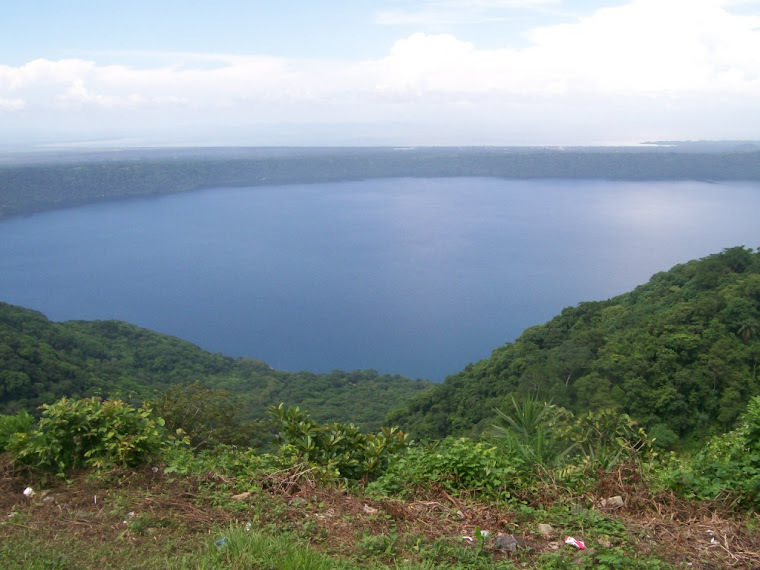 Laguna de Apoyo is among the most accessible of the good places to see birds and other animals in Nicaragua. We can organize birdwatching excursions for you in Laguna de Apoyo any day, although it is best to make a reservation. Please let us know if you would like an English or Spanish speaker as your guide, and whether you will need to rent binoculars. Invite Jeffrey McCrary or Pablo Somarriba to take you birdwatching!